Virtual Reality: A revolution in efficient, effective and safe skills development - Augmented Reality, Virtual Reality & Mixed Reality services in Chennai, India. A significant challenge facing mining and other industries is skills development and the question of how to move the needle when it comes to ensuring memory retention in safety training. Virtual Reality (VR) technology offers a solution that is both more efficient and more effective at skills transfer, which can sometimes be a matter of life and death. Virtual Reality (VR) technology provides a fully immersive 3D experience, giving participants a sense of really being in the environment they are viewing. Sensors in the Head Mounted Display (HMD) track motion as the participant’s head moves and alter vision accordingly. Participants gain hands-on experience in a safe, controlled virtual environment that closely replicates the real world in which they will be working, in ways that have never been possible with traditional 2D training media. This allows participants to become completely familiar with even the most dangerous working environments, in complete safety. Human beings are not just cognitive. By enabling an emotional, visceral, and cognitive experience, VR lets people retain knowledge at astonishingly higher rates of up to 80% as compared to traditional training mediums of around 20%.1 American educator Edgar Dale, in his “Cone of Experience” concept, ranked the concreteness of information according to the number of senses involved in perceiving it.1 VR allows any possible work situation to be practised as many times as necessary, and safely. Gamification of training increases participant engagement by holding their attention and motivating them to reach a goal. Participants stop being passive observers and become active participants. VR is fundamentally disrupting how organisations drive behavioural change to achieve business outcomes as well as proactively mitigating risk. The higher effectiveness of VR training exists in parallel to its undeniable safety advantages. Repeated VR practice without ever being exposed to danger means that by the time participants complete their training and face a real-life situation, their awareness and abilities to face challenges are second nature. Compared to VR training, classroom-only training is abstract and dissimilar to the situations the training seeks to address, and hands-on practice – for instance in a mine itself – is dangerous, impractical, it disrupts production, and it’s expensive. VR facilitates a seamless transition between learning and doing. It lets trainers provide comprehensive learning through deliberate practice. The technology reduces overall training costs, improves training efficiency, and provides authentic learning experiences. Because it is software, the technology gives powerful insights into the strengths and weaknesses of each employee by monitoring metrics such as what was looked at, in what order, and how long it took to complete an assessment. Client feedback on BSC’s VR training has been overwhelmingly positive. BSC created an immersive safety training solution for a major mining client. The company’s technical training advisor called the training “a revelation”, noting it was “of major value”. “Not only did it expose gaps in our traditional training methods, but it also revealed that some staff did not even understand the basics,” the advisor reported. “With the assistance of VR, we achieved more in one day than we would previously have managed in a two-week training programme.” This is profound, with the added efficiency alone providing estimated labour cost savings of between R4 and R5 million per year. 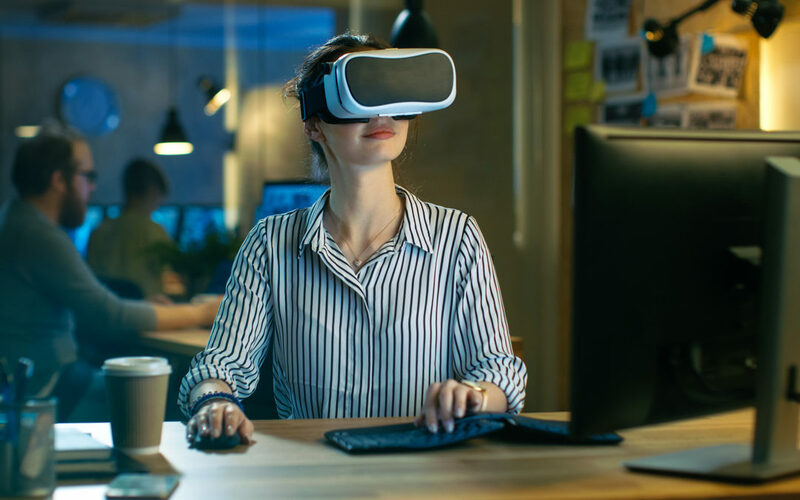 Any business regularly engaged in training of staff and clients, or which works in challenging environments or needing regular communication about particular settings, should investigate VR applications. Bottom line: VR is a highly disruptive technology revolutionising training and communication in the business environment. It is in the vanguard of fourth industrial revolution innovations and will play a key part in imparting the skills needed to move our economy forward.